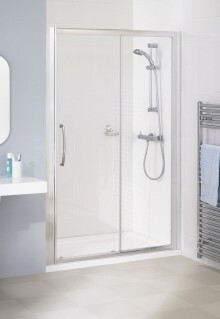 You might not mind but everything you see through standard shower glass becomes tinged with green. That may surprise and irritate you if you’ve not checked, or you’ve just chosen a new colour scheme or white tiles. Your showering space is mostly glass, so look at the edges of the glass to see how green it is. But thanks to clever technology PureVueHD low-iron glass is crystal clear and far more transparent than standard glass. Standard glass has high levels of iron oxide, which reduces the amount of light that can travel through it and gives it its greenish tinge. The thicker the standard glass, the more noticeable the greening effect. By reducing the levels of iron oxide the green hue is almost completely removed, so you can see your bathroom and showering spaces in high definition true-colour. Low-iron glass can cost up to 50% more than standard glass, but PureVueHD low-iron glass is included as standard across all our Collections* for a better showering experience.